The official competition season (or outdoor season) is from Labour Weekend until Easter Weekend, although we shoot all year round, and we do have competitions during Winter. 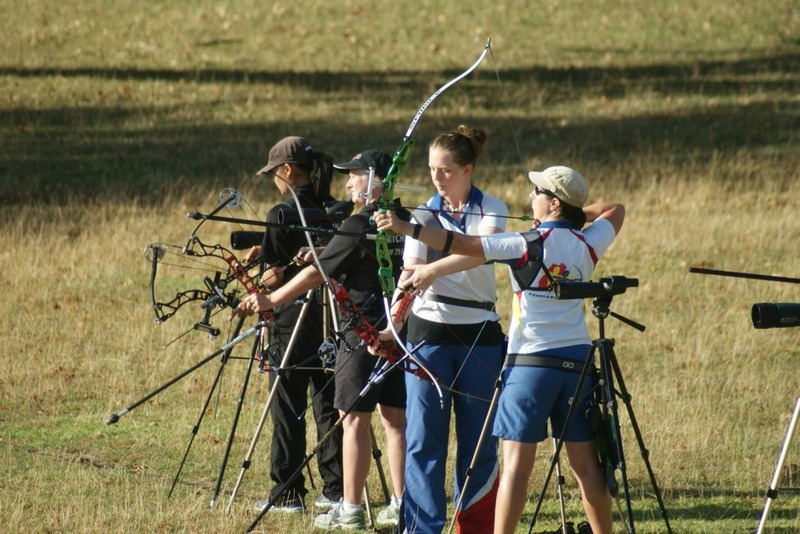 During the summer season, many archery clubs from all over the country host tournaments, as do Auckland. Please see the right hand column for a list of our upcoming events. The Archery New Zealand National Championships tournament for 2019 is being held in Auckland. You can download the Invitation and Flyer here. We are excited to announce that this will be the first ArcheryNZ National Championships to use electronic scoring. This allows for instantaneous results updates for competitors and spectators alike, helping everyone get more immersed in the event as it develops – just like other major international archery events. Huge thanks to our sponsors Archery Warehouse, CSE Genesis, NZCT, Southern Trust, PTS Logistics, Advanced Archery, Caveman Archery, Archery Success and TW Graphics. We also host a variety of minor tournaments at the club which are really friendly to novice archers, as these are often at a shorter distance. Some of these include: Waitangi Day – the Royle Hutton Memorial Challenge; October to December – one of these weekends will be set aside for the Ryan and Fraser Shield Challenge; and the Season Opening Days in October. We are also a part of the Archery New Zealand League. All summer we will shoot a “League Round” which is a Canadian 900 (30 arrows at 55m, 45m and 35m). Our scores get posted into the league administrator, and we compete against other archery clubs all around New Zealand for a club challenge shield. We also host our Club Championships every year in June and July, which everyone in the club is welcome to attend. We also host several major tournaments every year, the main ones being the One Tree Hill Cup in the first weekend of December – a very large national tournament that is often sold out months in advance – and the February Double Star in February. We also host the ADAA Auckland Anniversary weekend tournament once every three years, and do hold other Major tournaments each summer. It’s always a good idea to keep an eye on our shooting calendar. The type of tournament most commonly held is a World Archery Star Tournament (see distances below) which is a one or two day competition made up of four different distances. We accommodate many different age and experience divisions at Auckland so don’t feel shy in entering. There is always a distance you can shoot! We often run a novice line at our tournaments too for the archers who are only beginning tournaments but want to give it a go. Senior Men (recurve and compound) usually shoot 90m, 70m, 50m and 30m. Senior and Junior Women, Junior Men and Masters Men shoot 70m, 60m, 50m and 30m. Cadet Men and Women, and Masters Women, shoot 60m, 50m, 40m, and 30m. Intermediate Men and Women shoot 55m, 45m, 35m and 25m. Cub Boys and Girls shoot 40m, 35m, 30m and 25m. If you’re not sure what division you’re in, we have Junior Archery age groups listed on our Junior Archery page (or you can check out www.archerynz.co.nz for more information.